Medicare health insurance may or may not be the only type of health coverage you invest in, but it is often wise to make it at least a part of your overall health-protection plan. And today, you can consolidate your coverage with a Medicare Part C Plan, that integrates private and government based insurance, instead of only having the A & B “original” Medicare as an option. To be an informed health care shopper in today’s marketplace, you should at least be aware of the basics on what different Medicare plans have to offer. Here is some help to get you started in choosing the plan that is best for you. What Does Medicare A Cover? The “original” version of Medicare includes just A & B. Part A is your hospital insurance coverage. It will only cover those medical services considered “medically necessary” to treat a specific disease/condition you are suffering from; but neither is it limited to hospitalizations only, as the term “hospital insurance” might seem to imply. Beyond hospital expenses, Part A can also cover home health & hospice services, nursing home care, and skilled nursing facility expenses. But again, covered care must be a medical necessity to qualify, and that’s where you’ll need to dig deeper into the details of Medicare’s many rules as you continue your research. 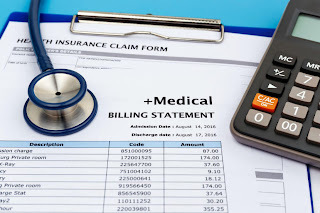 What Does Medicare B Cover? Part B is Medicare’s “medical insurance.” This covers the diagnosis and treatment of health conditions, when medically necessary. It includes reasonable preventative care as well as treatments. Here are some examples of what Part B will help you with: ambulatory care and transport, certain pieces of medical equipment like oxygen tanks and blood-sugar monitors for diabetics, doctor’s visits, mental health services, and to a rather limited degree, prescription drugs. And What About Medicare Part C? It’s true you can actually add prescription drug coverage to your Medicare via Part D, but one of the best ways to cover your pills and drugs is through Part C. Part C will give you all that Parts A & B will, only more. So you decide you want Medicare coverage or you want to switch over to a Part C plan from your current Medicare? Now what? It’s time to dig down into the details by talking with a Medicare health insurance expert. They can help you see the benefits of a Medicare Advantage Plan (Part C) more clearly and help you optimally customize your plan. Ask any Medicare-related question you like, and your agent will be able to get you the answer and help you make a truly informed decision.